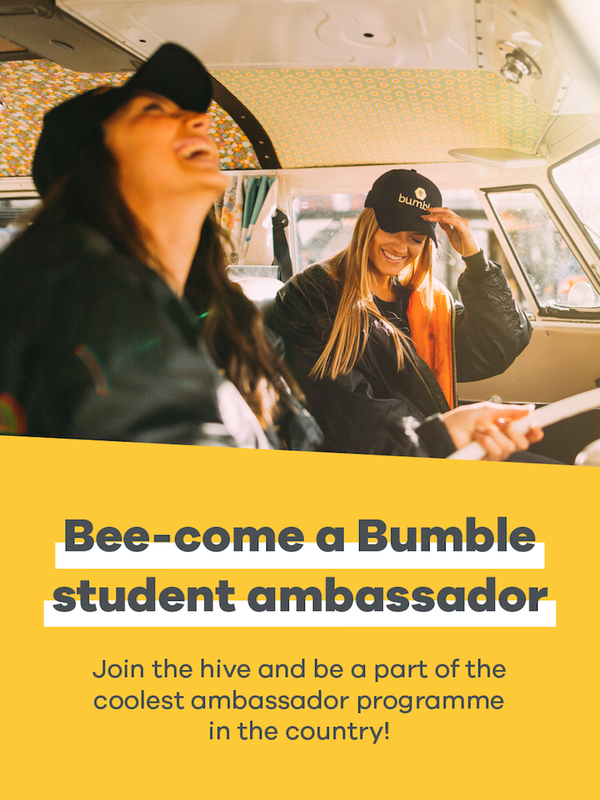 You will be responsible for making Bumble the next big thing on campus, spreading the word of female empowerment and making sure that everyone knows it is the place to be to date, find friends and network. This means not only bringing Bumble to your university and your network, but also your network’s network! The Bumble Honeys are vital for the growth of the app, as well as representing Bumble’s values of kindness, respect and equality everywhere they go. -Organising and executing amazing events like club nights, house parties and workout classes, with the help of a regional leader. -Ensure that everyone at your university has heard about Bumble, is using Bumble and is loving Bumble! -You are a first mover. You’re not afraid to make the first move in any aspect of life and everyone respects you for that. -You are a team member. You will be working with other campus ambassadors to empower women and complete tasks. -You are a hard worker. You take on each task with enthusiasm and commitment. -You are creative. We’re giving you the creative space to come up with your own imaginative and inspiring ideas - own it!